It was an exciting morning for employees of neighboring businesses in an industrial complex on the outskirts of San Luis Obispo when law enforcement officers raided a discrete unit and emerged carrying stinky bundles of marijuana. Exciting, one neighbor told New Times, but not surprising. 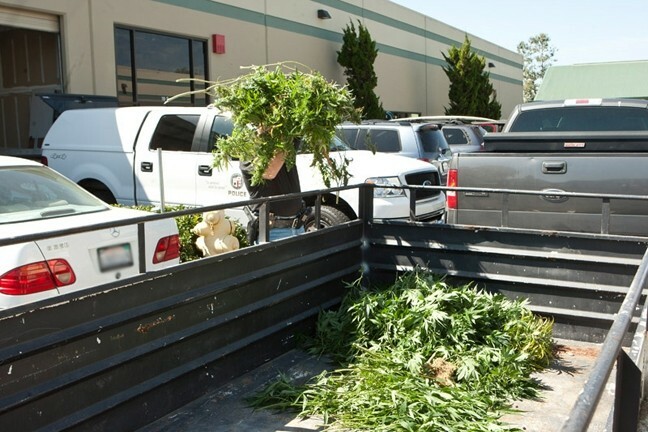 As San Luis Obispo County Sheriff’s deputies and detectives with the Los Angeles Police Department began to empty the business unit on the 700 block of Fiero Lane in San Luis Obispo, stacks of pungent, leafy plants began piling up in a sheriff’s department trailer. Some of the gathering crowd snapped shots with their cell phones, noted the wafting odor, and shared stories of how they all saw it coming. In the early morning hours of Sept. 20, officers executed a search warrant at 710 Fiero Lane, unit 18, and discovered what they called a “very sophisticated” growing operation—presumably illegal—and confiscated about 500 pot plants. 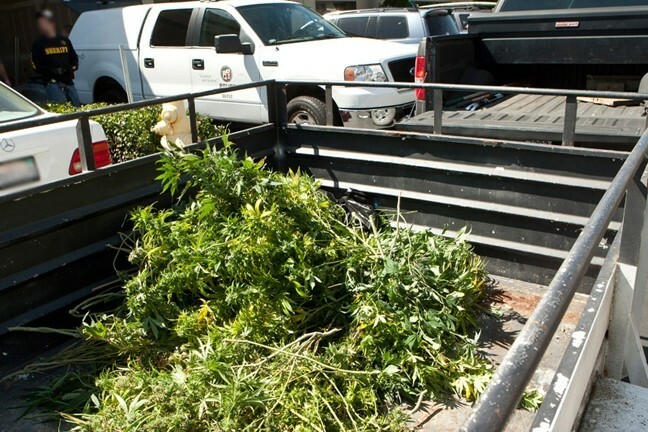 The plants weigh approximately 50 pounds, worth an estimated $200,000 in street value, according to an LAPD detective who identified himself as only “A. Williams” due to the sensitive nature of his work. Williams said no one had been arrested on site, though he said officers had previously arrested two men, whose ages and cities of residence weren’t available as of press time. Williams said the two were believed to be the source of marijuana being distributed throughout the Los Angeles area. LAPD’s West Valley Narcotics Division was heading the investigation, according to a SLO Sheriff’s senior deputy on the scene. The suspects have been transported to Los Angeles where they’re expected to face charges. According to employees of neighboring businesses, it was no secret that something shady had been going on. 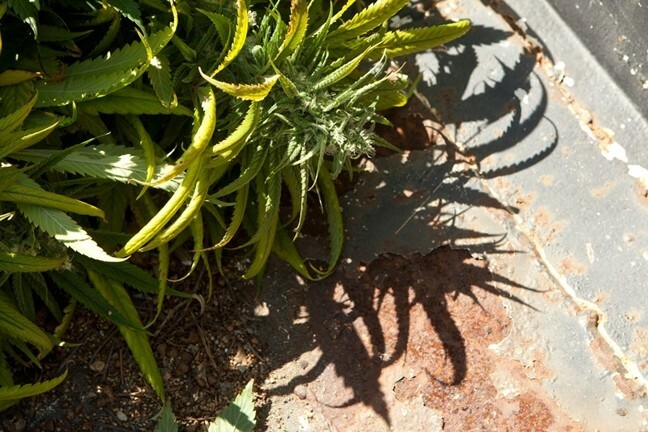 One employee—who asked not to be named—said he seldom saw the leasers of the property, but noted that every once in a while, he would catch a whiff of something that smelled illegal. The unit’s next-door neighbor told New Times that from time to time he would need to check their electrical boxes—which were connected to every unit in the building—and would wonder why the discrete unit would be using nearly double the electricity as the rest of the units in the building. He said the particular unit was leased around October 2011. More details may become available when the SLO County Sheriff’s Department issues a press release later the afternoon of Sept. 20.